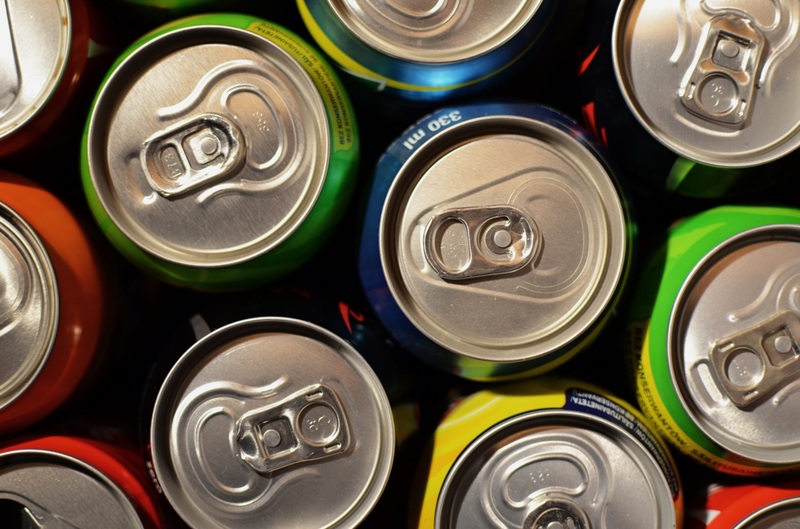 Home > Recent > The Fizzy Drink Debate - Does Tapping the Can Stop the Fizz? The Fizzy Drink Debate - Does Tapping the Can Stop the Fizz? Sometimes, there’s nothing better than a refreshing can of carbonated or ‘fizzy’ drink. But, there’s always that hesitation before pulling that ring pull as to whether half of the can’s contents will spray out, covering you and your hand, your clothes, and the stranger sitting next to you on the bus. Wouldn’t go down too well would it? Whether it’s shook up in your bag throughout the day, or your kid-brother had thought he’d come up with the ultimate prank as you ask him to grab you a can from the fridge, sometimes that surprising fizzy shower is avoidable. Or is it? There’s the on-going debate, between the can-tappers and those who watch with an eye-roll, does tapping the can reduce the chance of fizz? Here’s the scientific bit. Simply put, inside a can of carbonated soft drink, there’s an amount of carbon dioxide dissolved in the liquid, creating tiny bubbles on all sides of the can. This is called nucleation. The large amount of pressure in the can prevents the gas from escaping the liquid. When shaken or dropped, some of the gas escapes the liquid creating more bubbles, more energy, and an increased pressure. So when you open the can, the carbon dioxide escapes, and if you prefer your drink in a glass, as you pour it, more escapes; that’s the foamy head you see when pouring. If the can has been shaken up before, when opening more pressure and bubbles are released, possibly resulting in a sugary shower. With the increased bubbles on the sides, bottom and top sides of the can, it’s argued that tapping the sides moves the bubbles to the top of the can. This results in fewer bubbles on the sides of the can, which would potentially push the liquid up out of the can when opened. Causing less fizz, right? If this tapping does work, it’s said the effect of it is small. Those who oppose the tapping trick argue that it’s simply the time spent tapping which allows the energy inside the can to decrease. Simply leaving it to rest for a few moments is the best way to let the gas dissolve. Unfortunately, transparent cans aren’t a thing (there’s an idea… Dragon’s Den, hit me up! ), so you’ll never see how many bubbles the tapping actually displaces, or if it’s just a matter of patience to avoid an overflowing drink.